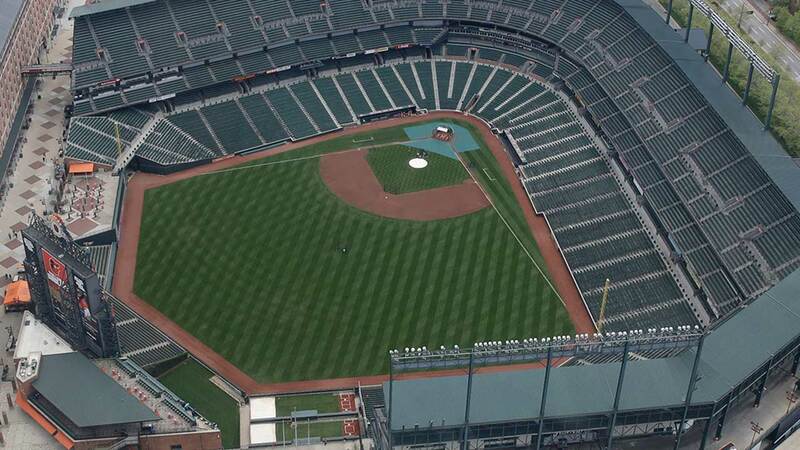 BALTIMORE, MD -- The Orioles will play the Chicago White Sox on Wednesday afternoon at Camden Yards in a rare Major League Baseball game closed to the public, a decision that followed rioting in Baltimore. The announcement of the closed-doors game came after the Orioles postponed games against Chicago on Monday and Tuesday. The start of Wednesday's game was moved up five hours to 2:05 p.m. In addition, the Friday-to-Sunday series against Tampa Bay was shifted from Camden Yards to Tropicana Field in St. Petersburg, Florida, with Baltimore remaining the home team and batting last. MLB said the postponed games against the White Sox will be made up with a doubleheader on May 28 at 4:05 p.m.
Public schools were shut on Tuesday in Baltimore, and the mayor imposed a 10 p.m.-to-5 a.m. curfew.